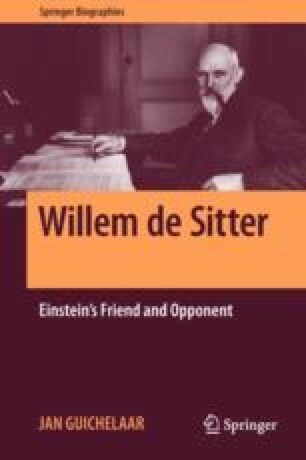 After the decade of his main theoretical achievements De Sitter’s appointment as director of the Leiden Observatory had caused a great career change. After his return from Arosa the emphasis of his work shifted to organization, administration and management. First there was the reorganization of the Observatory. After its successful completion De Sitter became secretary of the Senate of the University and the following year he was Rector of the University. Also I remember your frequent statement that one principal function of your Observatory is to train and export highly capable young astronomers.